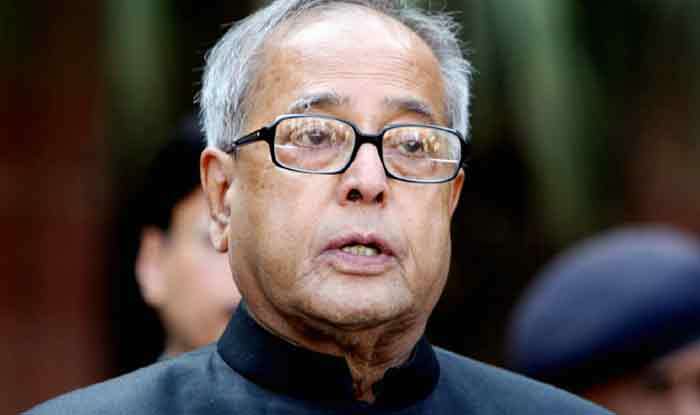 Pranab Mukherjee is among the three recipients of Bharat Ratna this year. New Delhi: The news of former president Pranab Mukherjee being one of the recipients of Bharat Ratna this year has evoked some sharp reaction from the Opposition. While the Congress is happy that the contribution of one of its own has been acknowledged, a Janata Dal (Secular) leader has gone ahead to claim that Mukherjee is being awarded the country’s highest civilian honour because he visited the RSS headquarters in Nagpur. JD(S) leader Danish Ali said Mukherjee not only attended the event but also described Sangh ideologue KB Hedgewar as the “son of the soil”. He also questioned how Mukherjee was getting Bharat Ratna and not seer Shivakumara Swami of the Siddaganga mutt in Karnataka who died at the age of 111 earlier this week. He claimed that both Mukherjee and PM Narendra Modi had common friends who were industrialists and that may have worked for him. “Pranab Mukherjee is being awarded the Bharat Ratna because he visited the RSS headquarters and described the founding Sarsanghchalak chief, K B Hedgewar, as ‘the son of the soil’,” Ali said. He added that there were more deserving candidates than the former president in the field of politics, like Biju Patnaik and Kanshi Ram, who had worked for the masses. “We protest this as Sri Sri Shivakumara Swami of Siddaganga has not been conferred the award. Swamiji was a legend and had worked towards the social welfare of people all his life,” he said. He added that the people of Karnataka would teach a lesson to the Bharatiya Janata Party (BJP) for not conferring the award on Shivakumara Swami.